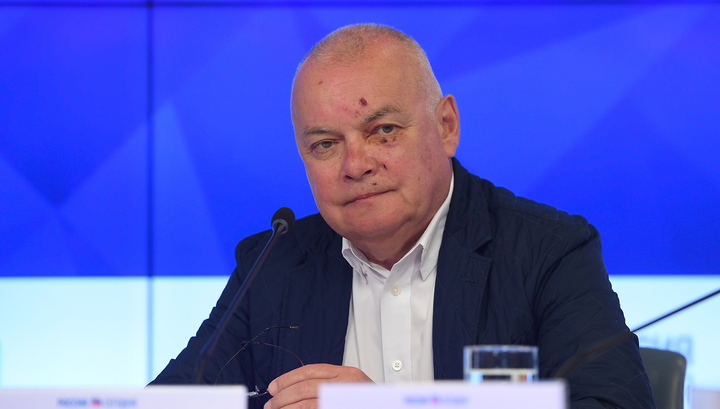 Ukraine has blocked the assets of Dmitry Kiselyov, the CEO of Russian international information agency 'Russia' and banned him from the entry to the country. Also, singer Joseph Kobzon was deprived of the state awards by the order of the Ukrainian president #126/2018. According to the order, such measures assumed against Kiselyov: block of the assets, the temporarily restriction of right to manage the property; prevention of the capital outflows from Ukraine, ban to provide or cancel visa to the residents of the foreign states, use of the other bans for entry to Ukraine; other sanctions corresponding to the principles of their usage established by a law. The sanctions against him were imposed indefinitely. The next sanctions were imposed against Joseph Kobzon: block of the assets, the temporarily restriction of right to manage the property; prevention of the capital outflows from Ukraine, ban to provide or cancel visa to the residents of the foreign states, use of the other bans for entry to Ukraine, deprivation of the state awards of Ukraine, other awards; other sanctions corresponding to the principles of their usage established by a law.